Elegant and tasteful, the Hotel Gloria Palace Amadores offers guests spacious accommodation and is situated in a quiet hilltop location halfway up to the Puerto Rico valley. It's ideal for a peaceful and relaxing holiday and offers great views from the reception and bar area, and the facilities and entertainment on offer will keep you active and entertained your whole holiday through. 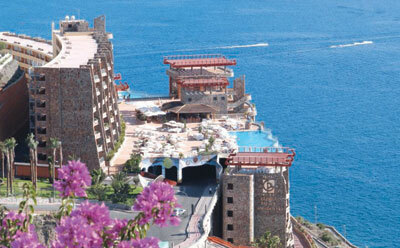 Good for a relaxing, quality holiday, Playa de Amadores Beach is around 500 metres away.